iOS is the name given to operating system that operates modern smart phones mainly developed by apple. iPad, iphone, and ipod are run using this system. This operating system provides many applications and services to users. It is one of the best mobile application operating system with millions of applications and over 60 billion users all over the world. iOS application software are developed using Software Development Kit (SDK). This kit has tools and interfaces for developing, installing running and debugging the application software. These applications appear on the device home screen and can be accessed by the user anytime. 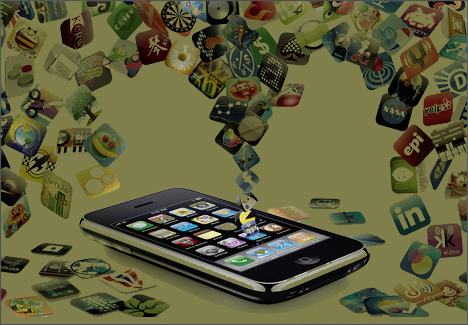 The iOS SDK provides an interactive and user friendly technology which allows users to develop native apps. iOS forms the intermediate between hardware and applications created by the user. It creates an easy environment where users can write applications. iOS is made up of many layers grouped as low and high level layers. Low level layers provide basic services while high layers have more complicated functions. Users should generally use high level layers as they provide interfaces which are easier to use and which transform the user instruction into low level language which operates the hardware. The main distinctive and useful feature of iOS user interface is the use of touch to activate and control most apps in the device. The interface has buttons and sliders which are activated by touching and swiping on the screen. Some of the apps respond to rotation ad shaking. iOS devices are able to run many apps by multitasking and docking apps in background. The devices allow only one application to run in the foreground of the device while all the other apps appear in the background. The devices behave differently for foreground and background applications. The foreground application is allowed to send touch events which the user activates while the background apps have limited functionality. This optimizes the system performance and improves the battery life. There are very many features supported by iOS. These features generally increase as more applications are being developed. The iOS provide many functions for both users and app developers. For users, the iOS provides peer to peer communication using blue tooth, I cloud features such as data storage and processing, file sharing, games, personal assistant such as SIRI, notifications and many more features. iOS is the operating system used to run iPhone, iPad, iPod and other Smartphone developed by Apple inc. iOS provides a platform through which application developers can easily design, develop and test new applications. iSO also enables users to download and run different apps on their mobile phones.